We all do it. We all come home after a long day and treat ourselves to a glass of wine to 'take the edge off'. But it seems women are no longer stopping at just one glass. More than ever before, women are not just hitting the wine, they are doing something far more dangerous - getting behind the wheel of their car afterwards. According to a recent study by Social Research Associates (SRA) on women and alcohol, the percentage of women in Britain convicted of drink driving has almost doubled in the past 15 years - from 9pc in 1998 to 17pc by 2012. The research also notes that one in six female motorists believe they have driven over the limit in the past year. From the age of 30, women are now more likely to be over the legal limit than men. This is a shocking statistic. The women surveyed gave different reasons for driving under the influence - some said it was getting unexpected calls from teenage children to pick them up. Others suggested it was a reluctance to use public transport late at night. What's behind it all? In the last 50 years, women's attitudes to alcohol have changed dramatically. Our mothers' generation would never have gone into a pub on their own, people would have thought they were roaring alcoholics. Nor would our mothers have had bottles of wine stocked in the fridge between the milk and orange juice. The difference nowadays is that alcohol is so readily available and cheap. You can pop a few bottles of wine into your shopping trolley along with your pork steaks and carrots. No one will think you're an alcoholic because it's 'normal'. Anyone who doesn't have a few bottles of wine knocking around when you call in is now viewed as abnormal. And if, God forbid, you should run out of wine, you can always nip across to the local garage and stock up again. With 50pc of alcohol sold in Ireland now bought for home consumption, it's clear Irish women are drinking a lot more than they used to. In 1990, 7pc of alcohol consumed was wine; this has almost quadrupled to 26pc in 2011 and is expected to increase further by the end of 2014. With wine being so easy to come by, a woman will have no problem reaching her maximum weekly drinking limit of 14 units in one night and it'll cost her less than €10. It's women across all ages who are tucking into the drink - from student bingers and young professionals to strung out mothers and middle-aged women with empty nest syndrome. The problem with all this drinking at home is that the boundaries become blurred. At least in a pub or restaurant there will be a closing time, but at home there is nobody to tell you to wrap it up. Why are we drinking more? Modern women are trying to have it all and struggling with that impossible goal. Women are told they should achieve everything - the good relationship, the perfect children, the slim and toned body, the ability to cook healthy, low-fat, low-sugar, low-salt meals and to be successful in their jobs. What woman wouldn't buckle under all that pressure and reach for a glass (or three) of wine? But it's a slippery slope and one or two glasses of wine to unwind can very easily become a bottle. And what happens if your 13-year-old phones to be picked up from football? Do you get behind the wheel? The answer, it seems, is increasingly yes. The other big problem with women and alcohol is that they experience greater health risks than men. As Alcohol Ireland is keen to stress, the onset of alcohol-related health problems begins earlier in women than in men. 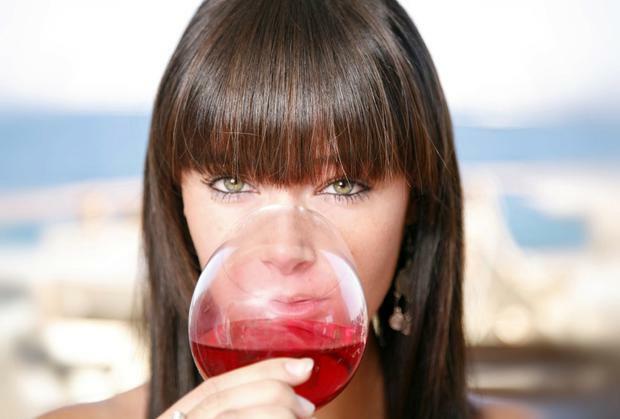 Women are more vulnerable to tissue damage, cirrhosis of the liver and alcohol dependence. Women also process alcohol differently. Women generally have lower body weights and higher percentages of body fat than men. So a woman who drinks the same amount of alcohol as a man will end up with higher concentrations of alcohol in her blood. One very worrying finding is the link with alcohol and breast cancer. According to research, drinking one standard alcoholic drink a day is associated with a 9pc increase in the risk of developing breast cancer, while three to six drinks a day increases the risk by 41pc. As someone who cooks with an apron that says - 'Wine improves with age, I improve with wine' - I may have to seriously rethink my attitude.